Proposition 112 in Colorado would require new oil and gas wells to be farther away from occupied buildings, which would seriously limit fracking in the state. Media Matters analyzed 12 Colorado newspaper editorials expressing a position on Proposition 112, and only one of them mentioned climate change. Proposition 112 would require that new oil and gas development projects, including fracking, be at least 2,500 feet away from occupied buildings and "vulnerable areas,” including schools, hospitals, parks, lakes, and rivers. The current minimum setback distance for wells is 500 feet. The initiative would not affect federal lands or Colorado's 55,000 currently active wells. Colorado Rising, the main advocacy group supporting this initiative, points to a growing body of research showing serious health and safety effects related to fracking, especially when residents live within a half-mile of wells. Protect Colorado, the chief opposition group, contends that the initiative would effectively ban new oil and gas development in the state, costing thousands of jobs and billions of dollars in economic benefits. Spending on this initiative is incredibly lopsided. Opponents have raised over $31 million, most of it from oil and gas companies including Anadarko, Noble Energy, and PDC Energy. The Koch brothers' network is pitching in too; the Colorado chapter of the Koch-backed group Americans for Prosperity recently formed an issue committee to fight Proposition 112. On the other side, supporters of the initiative have raised only about $1.6 million, with the biggest donor being the Food and Water Watch Action Fund. Much of the debate around Proposition 112 has involved the health impacts of fracking and the economic influence of the oil and gas industry, but climate change is another critical issue. A scientific study in 2015 found that half of the world's gas reserves and a third of oil reserves need to stay in the ground if we are to prevent the average global temperature from rising 2 degrees Celsius above pre-industrial levels. More recently, a major report from the U.N. Intergovernmental Panel on Climate Change warned that 2 degrees of warming is too much and humanity would suffer greatly if the average temperature rises more than 1.5 degrees, further underlining the need to keep fossil fuels in the ground. Media Matters analyzed 12 newspaper editorials that took a position on Proposition 112, including the largest newspapers by circulation in Colorado. Only one of them made note of climate change. In the bigger picture, Proposition 112 comes before voters amid ubiquitous signs of a climate change emergency. The last four years saw the hottest January-June periods ever recorded on Earth. Scientists have tied climate change to a greater number of large wildfires in the West and bigger and stronger hurricanes, among other environmental disasters. This week it was reported that the climate change-denying Trump administration itself assumes global temperatures will rise an apocalyptic 7 degrees by 2100. Job losses are always lamentable, but the transition toward green energy sources is a practical and moral imperative, and Proposition 112 would play a role in achieving such progress. Only two of the 12 editorials endorsed Proposition 112 -- those in the Daily Camera and The Aspen Times. The overwhelming newspaper editorial opposition to Proposition 112 does not reflect recent public polling in the state, which found that 52 percent of Colorado voters supported Proposition 112. Some of these editorials parroted industry talking points. For example, both The Pueblo Chieftain and Steamboat Pilot & Today argued that if Proposition 112 passed, over 147,500 jobs could be lost by 2030, and the state could lose more than $1 billion in tax revenue. These numbers are trumpeted by the opposition campaign and come from a report by the Common Sense Policy Roundtable (CSPR), a right-leaning, free-market think tank whose founders are tied to the oil and gas industry. 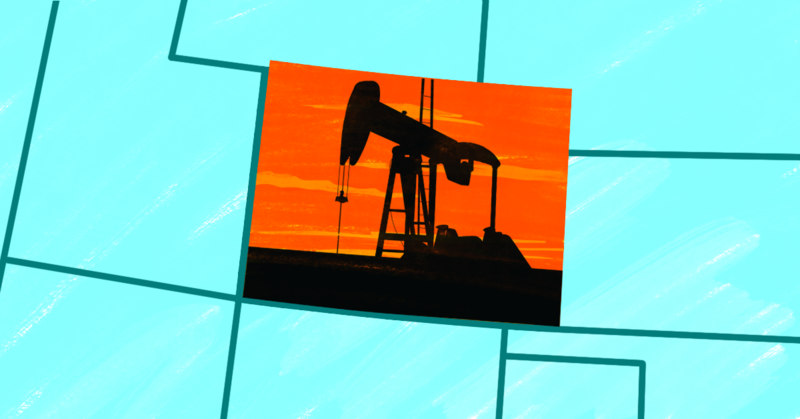 In 2015, CSPR was found to have been working on behalf of Koch-backed groups and the fracking industry, and selectively editing studies in ways that would help promote fracking in Colorado. Of the 10 editorials that recommended a "no" vote on Proposition 112, four of them completely neglected to mention the health effects of fracking, which has been the main issue driving the "yes" campaign -- those in the Colorado Springs Gazette, the Grand Junction Daily Sentinel, The Pueblo Chieftain, and The Durango Herald. Media Matters also reviewed the Canon City Daily Record, the Lakewood Sentinel, the Longmont Times-Call, the Loveland Reporter-Herald, the Telluride Daily Planet, and the Vail Daily, but the editorial boards at these papers do not appear to have taken a position on Proposition 112. If Proposition 112 is approved, it could have major implications not just for the oil and gas industry in Colorado but around the country, as industry executives are “fearful that it could encourage similar measures across the nation,” The New York Times recently reported. Ballot measures in Arizona, Nevada, Washington, and other states could have serious repercussions for fossil fuel companies and greenhouse gas emissions as well. In light of the recent U.N climate report and worsening weather disasters around the U.S., it’s worrying that an overwhelming majority of Colorado newspapers ignored climate change as they weighed in on an energy-related ballot initiative. They appear to have decided that short-term economic gains and industry support are more important than the long-term health of both Coloradans and the planet.